Preheat oven to 400°F. 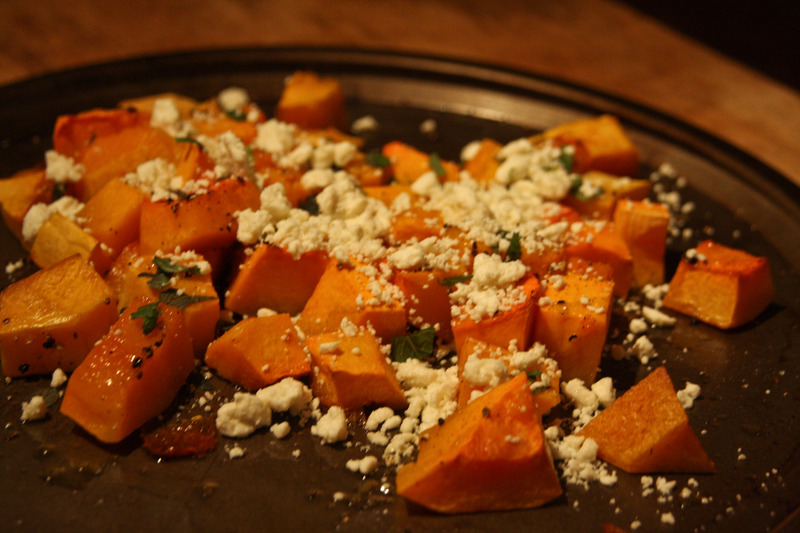 Place cubed butternut squash on a baking sheet. Drizzle with olive oil and sprinkle with salt and pepper. Use hands to spread seasoning and oil on all sides of the cubed squash. Bake for about 20 minutes, or until squash is tender. 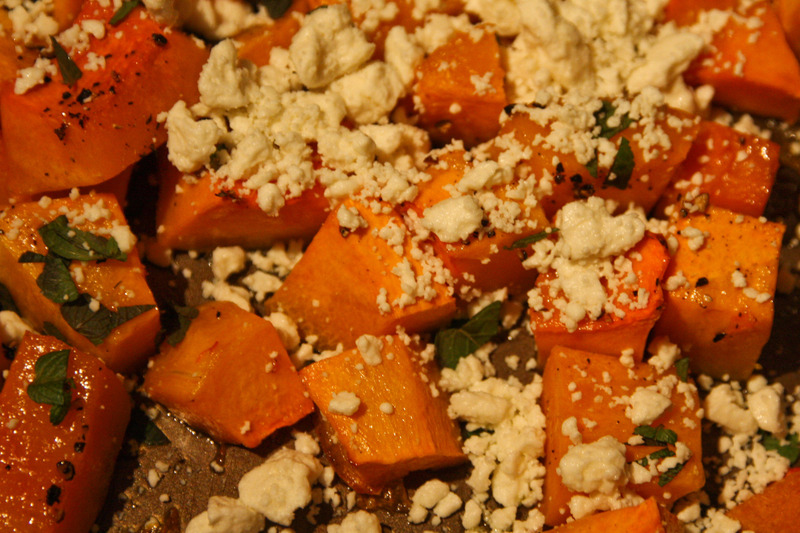 Let cool for a few minutes, and then sprinkle squash with mint and feta cheese. Serve warm.